Sorry, this job expired on Mar 10, 2019. Below are other jobs that may be of interest to you. 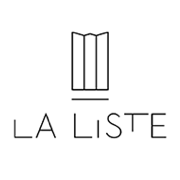 NEW AMERICAN BISTRO WITH FRENCH INFLUENCE ON UPENN'S CAMPUS! If you are looking for an experience of a lifetime come open a restaurant with us! Opening is NOT for the faint of heart! It requires people with a lot of enthusiasm, drive, grit, organization, and endurance! 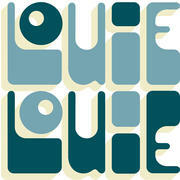 What makes Louie Louie special and a great place to work?! A Louie Louie Server will be an expert at welcoming our guests into our home with warmth, enthusiasm, and grace in this fast-paced, multi-faceted, neighborhood cafe. This candidate will have a desire to continue to learn and grow within our organization. The ideal server candidate is positive, a big personality, responsible, hands-on and a team player that has strong communication skills and can handle multiple tasks in a friendly manner with grace and composure. Be happy and constantly smiling! Health/dental insurance (full time), short-term disability, Employee Dining Program @ 8 Fearless Restaurants, Travel/Childcare/Health Care Tax Benefits, career growth! Part of Fearless Restaurants, a new restaurant opening spring of 2018, located at the Inn of Penn in the heart of University City. Designer ROHE creative of Harp + Crown, Bud + Marilyns, White Dog Café's Parlor Bar is designing the concept. Louie is an American bistro with French influence! It will be an indoor/outdoor upscale casual venue. Our FOH team will wear jeans and t-shirts! Our interviews/training will take place at our sister restaurant White Dog Café 2 blocks away.